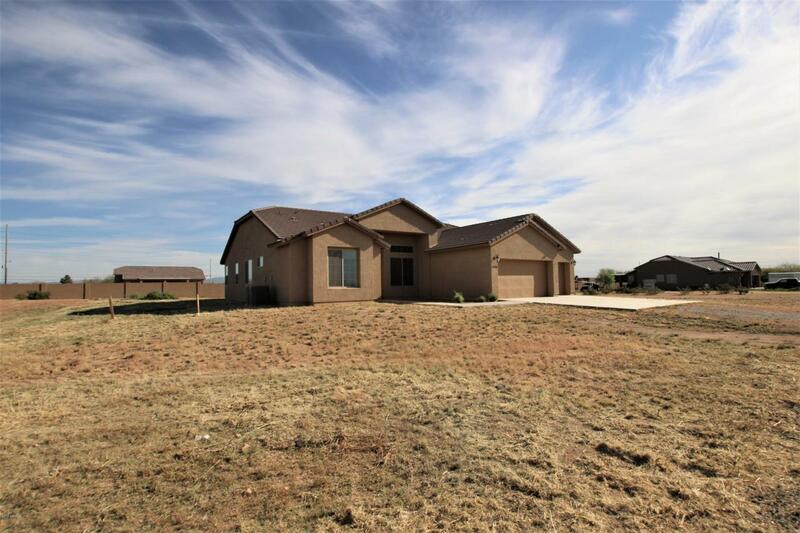 Newer Ranch home offers everything on one level, 4 bedrooms/3 full bathrooms, split floor plan is thoughtfully designed, constructed and centered around comfortable, flexible living and entertaining. The great room and adjoining kitchen with dining area accent the generous living space in this open concept model. 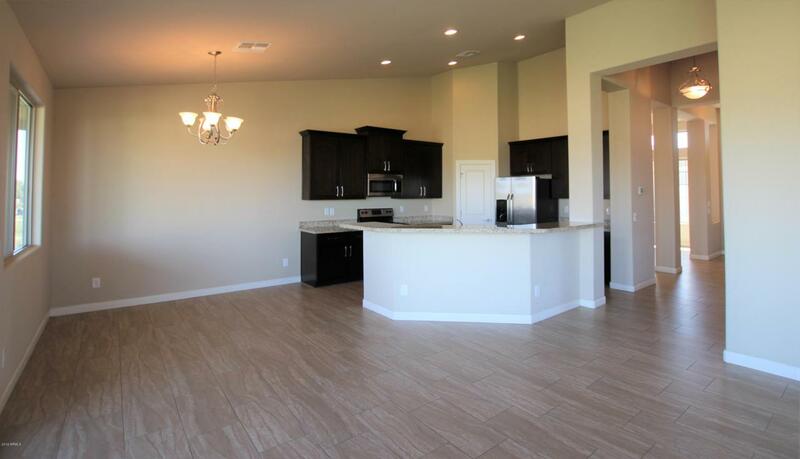 The kitchen features stainless steel appliances, espresso cabinets, slab granite counter tops and center island with room for additional seating. Master Bedroom offers double sink vanity in master bath. 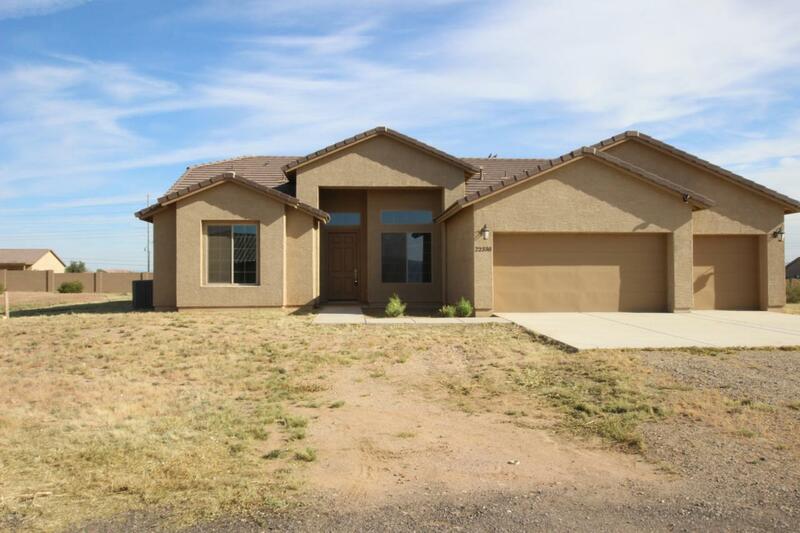 The home also showcases plank tile flooring throughout, neutral paint, 2 car garage, covered back patio all on a large lot with backyard views of the White Tank Mountains!